Here you can see us doing make up and hairstyling during a fashion shooting for Christofle Jewelry Collection, in collaboration with the great Haute Couture Atelier Mauro Gala Wedding Dresses and Aleksandr Shvets, photographer and videomaker. As Mauro Gala's dresses were very sophisticated and vintage, I created for our blond model Inna a hairstyle with vintage waves and a retro make up with light smokey eyes and red lipstick. 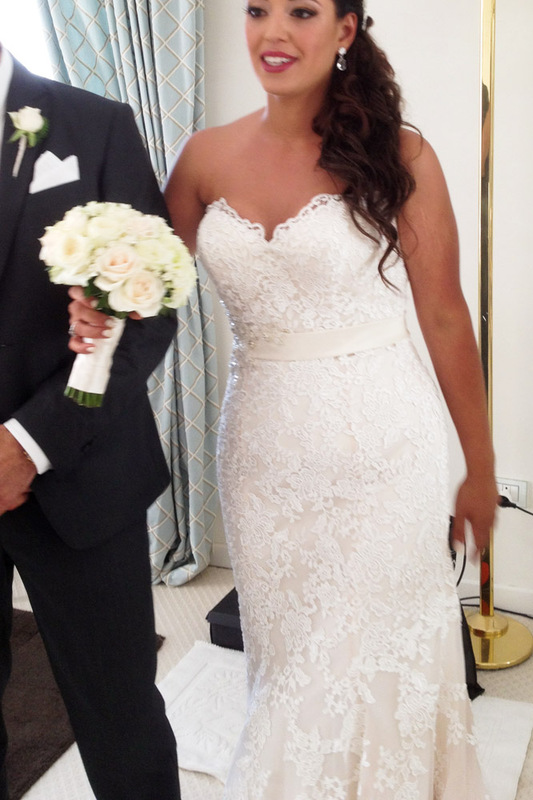 For Chiara, in order to create a more romantic look, I did big curls for her long beautiful hair and a side hairstyle. For her make up I decided to do dark smokey eyes with eyeliner and neutral lips.